Whilst the euro vs dollar finally managed to breach the 1.48 price handle in yesterday’s trading session, the move higher was far from convincing with the candle ending the session as a narrow spread up bar but with a shadows to the top and bottom. Whilst the bullish sentiment remains firmly in place, these shadows can suggest a degree of bearishness in the market, and perhaps a signal that the euro vs dollar may be temporarily running out of steam and therefore due for a short term correction. However, having broken above the 1.48 level (albeit in a minor way) this should provide the platform for a stronger move higher in due course, which should see the pair approach the 1.50 level with a possible strong move to re-test the 1.55 price handle. The bullish tone is further reinforced by the bull cross of the 9 moving average crossing above the 14 day moving average once again. Items of fundamental news on the economic calendar for Europe are restricted to the month on month Industrial Production figures which are forecast at 0.9%. However, despite being considered a leading indicator their release is somewhat muted as France and Germany which account for about half of the Eurozone’s economy release their own data. The market then turns to the US where Core Retail Sales are expected to come in at 0.3%. The Core Retail Sales measures the change in the total value of sales excluding cars and are considered to be a better gauge of spending as vehicle sales can distort the underlying trend. The “cash for clunkers” scheme would be such a distortion. At the same time the overall Retail Sales numbers are released and these are expected to come in at -2.0% against a previous of 2.7%. Release of this data will undoubtedly cause markets to over-react. The third item released at the same time are the Import Prices which are forecast at 0.3% against a previous of 2.0%. Later in the currency trading session the Business Inventories will be released and these are expected at -0.8% against a previous of -1.0%. If these number were not enough at 19.00 GMT the FOMC is due to release the minutes of its most recent meeting. The minutes are a detailed record of the voting pattern on interest rates within the FED and can provide traders with important insights into the factors which influencing the FED’s decision. In addition markets are still awaiting details of the Federal Budget Balance which I had expected yesterday. Finally the day ends with Fed Governor Daniel Tarullo testifying on the state of the banking industry before the Senate Banking Committee in Washington. 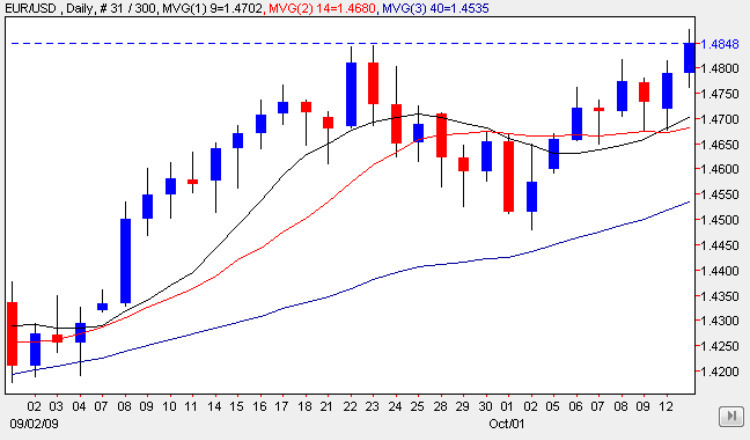 All in all a lively day which should provide us with plenty of currency trading opportunities.